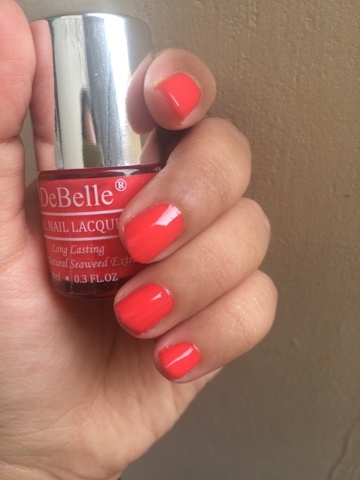 HEY GUYS...M BACK WITH A REVIEW OF A GEL NAIL PAINT BY A BRAND CALLED DeBelle. WE ALL LOVE NAIL PAINTS AND PARTICULARLY GEL NAIL PAINTS BECOZ THEY STAY LONGER AND GIVE OUR NAILS THAT EVERLASTING SHINE AND GLOSS. BUT HONESTLY IT IS STILL VERY DIFFICULT TO FIND GOOD QUALITY GEL NAIL PAINTS IN THE INDIAN MARKET AT AN AFFORDABLE PRICE. 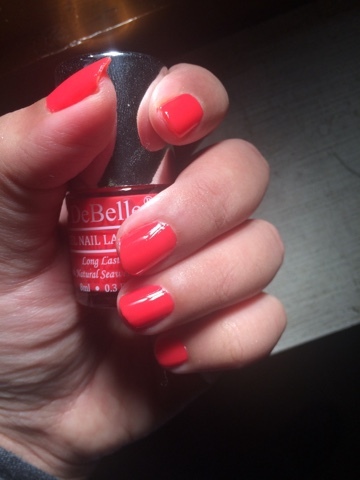 BUT THE GOOD NEWS FOR ALL YOU GEL NAIL PAINT LOVERS IS THAT THIS PARTICULAR ONE BY DeBelle HAS ACTUALLY PASSED MANY OF MY TESTS WITH FLYING COLOURS!!!!!! 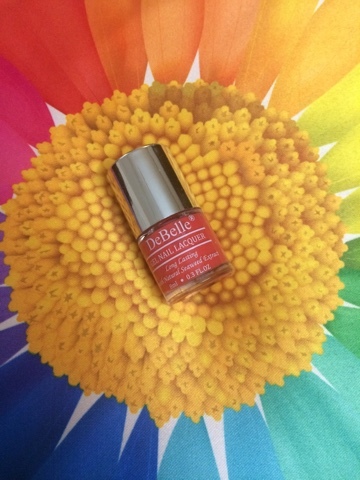 COMING TO THE DETAILS FIRST, THE SHADE I AM REVIEWING TODAY IS CALLED "PRINCESS BELLE". YOU CAN GET THESE AT A GOOD DISCOUNT ON AMAZON.IN AND YOU CAN ALSO SHOP THEM ONLINE AT FLIPKART, SNAPDEAL, SHOPCLUES AND VOONIK. COMING TO MY EXPERIENCE WITH IT, I LOVED THE NAIL PAINT A LOT. 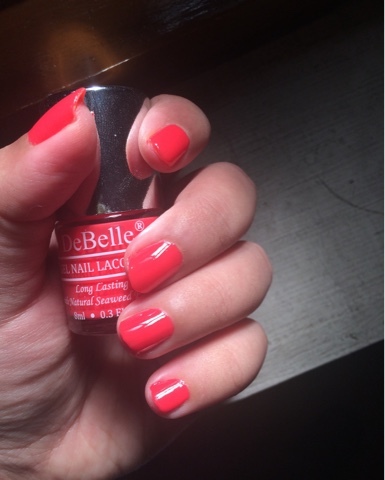 IT HAS A GREAT PIGMENTATION AND 2 COATS OF NAIL PAINT GIVE YOU AN AMAZING COLOUR AND GEL FINISH. THE THING I LIKED THE BEST WAS ITS STAYING POWER: IT STAYED ON MY NAILS AS IT IS FOR 8 DAYS STRAIGHT WITHOUT CHIPPING AND WITHOUT EVEN A TOP COAT. 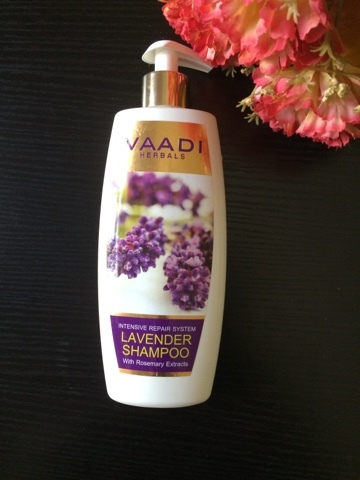 THE GEL FINISH IS TO DIE FOR AND IT IS ACTUALLY LONG LASTING. I HAVE TRIED MANY NAIL PAINTS IN THE PAST BUT THEY BECOME SO DULL AFTER JUST 2 DAYS. 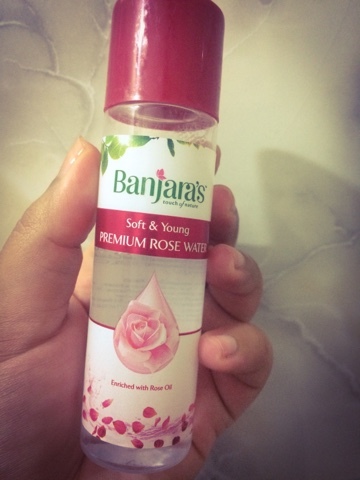 A GREAT THING ABOUT THIS ONE IS THAT IT CONSISTS OF NATURAL SEAWEED EXTRACTS WHICH HELPS THE NAIL TO BREATHE AND PROMOTES NAIL GROWTH TOO, WHICH IS A BIG YAYYYYY!!!!! HONESTLY GUYS, IF YOU ARE LOOKING FOR A GREAT QUALITY , LONG LASTING GEL NAIL PAINT, YOU SHOULD DEFINITELY CHECK THIS OUT AND I AM SURE YOU WILL NOT GET A BETTER GEL NAIL PAINT AT SUCH AN AFFORDABLE PRICE. This nail paint shade look so pretty. Liked it.